When a disaster strikes and water is cut off a portable toilet can help with survival. It’s not a new concept, but it has been catching on quickly in the more recent decades: urban survival-ism. A trend that has really caught fire again in the post Cold War era is taking steps to become an urban survivalist. The threat of terrorism, anthrax scares and the fear of Hollywood-style zombie apocalypses have all affected individuals differently, however, more often than these the reason for becoming a survivalist includes preparedness in the face of a natural disaster, like Hurricanes Sandy and Katrina. One of the greatest needs for survivalists is a portable toilet. Stockpiling food and water will only do so much good without the availability of a sanitation device. 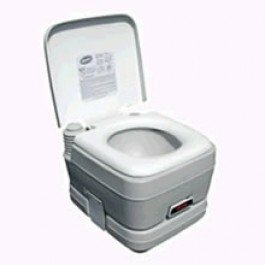 Having a portable toilet can be a great addition to camping gear and tailgating equipment, but it is also an important addition to include in emergency kits and survival plans in case of crisis. Depending on the degree of survival tactics, urban survivalists stockpile goods that are necessary for survival without the guarantee of modern day luxuries of electricity or plumbing. While for some this may mean always making sure to have a few canned goods on hand, for others it entails having enough supplies to guarantee survival on a long-term basis, which needs to include a mobile restroom toilet. Urban survivalist planning will definitely make you feel more prepared for the threat of zombie attack, but is also a terrific security measure in the case of emergency weather or natural disasters to help keep healthy, sanitary conditions. To learn more about disaster planning and hygiene products, call BioRelief, Inc at 877-782-3675.